Are you one of the many men who has a lot of stress in your life? If so, what do you think of that? Do you just let it happen and do nothing about it? It is time for you to take a stand. You do not have to be stressed all the time. If you are ready to knock stress out of your life right away, there are some excellent tips on how you can do this. You probably already know that stress is causing you issues including physical and mental health problems. You need to relieve that stress and you can start doing it today. Yes, you may have already heard that going for a walk can help you, not only with relieving stress but in many other ways too. However, you also know that when you are stressed you feel like everything is coming in on you and you may even feel trapped. It isn’t a comfortable feeling and it can hurt your body and even damage your heart. When you go for a walk, you get stress relieve and you get to take that pressure off from your body and heart as well. Get some fresh air and get out in the open so you don’t feel trapped. Going for a walk does help with relieving stress, give it a try! While afternoon naps aren’t great for sticking to your sleep schedule, sometimes they are needed. If you are feeling stressed there are some benefits of taking afternoon naps. You may find that you are always on the go and running errands. If you aren’t doing that, you are thinking about what you need to do. Just stop. Sometimes you need to just stop and take a nap. You only need 20 minutes to give your mind the break it needs and your body the energy boost it needs. There are many therapeutic benefits of listening to music and relieving stress is one of those benefits. It has been shown to help people get out of their own head and stop listening to their own thoughts for a bit. Listening to music has a way of invigorating your body and your mind. 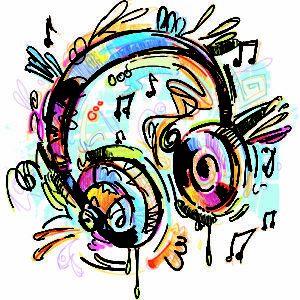 Turn on anything that helps to ease your mind – it could be rock, country, jazz or anything else. Turn it up and let your mind and body be at ease. Yes, do something with your hands. For men, there is something therapeutic about doing something with their hands. This is especially true for those men who work in an office or who aren’t able to use their hands much during the day. Don’t let stress keep you down. Work on a project, go hunting or just find something to do with your hands. Not electronics. Get up and play a game. Ask some buddies to play a game of football or basketball with you. Go out and play a baseball game with friends. Just get out and get moving. That is excellent for relieving stress. These are some of the ways you can choose to knock stress of your life. Get going with these tips right now! Next ArticleWhy Do You Need to Start Taking Magnesium Supplements Today?